Now we’re all armed with the correct buttons to push and the correct order in which to push them. I’ll drop a link at the bottom for the spec/glyphs I intend to use as I begin heroics but keep in mind these will change on a fight by fight basis and have much less impact on overall performance than they would have in previous expansions. 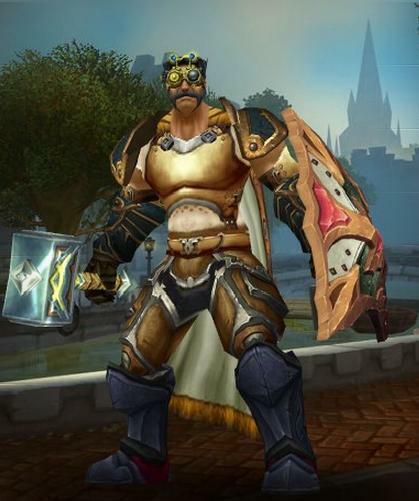 As a final note I just want to point out that Shield of the Righteous and Word of Glory have been taken off the GCD, allowing us to mash them whenever we like without disrupting our rotation. I will personally be evaluating my tanking by first measuring SotR uptime, as this seems to be the single greatest way to smooth incoming damage and take some of the load off of my healers. Sacred shield isn’t a 6 second ability. It lasts for 30 seconds. This 30 second buff pics every 6 seconds for the absorption effect, which does not stack. I’m going to reword this to prevent confusion. Gentlemen, may I present  guy?